Next month, Animal Crossing: New Leaf for the Nintendo 3DS will be hitting stores in North America and Europe. I’ve been playing Animal Crossing since getting hooked on Animal Crossing: Wild World for the Nintendo DS. Whilst I did play Animal Crossing: City Folk for the Wii, I did feel that Animal Crossing was better suited to a portable system. As such, I’ve been eagerly anticipating the arrival of the next portable installment of the series. I have long been waiting for a 3DS XL to arrive in a color that I like. I don’t like the standard red/black or blue/black versions available in North America, nor the limited pink/white edition or the limited yellow Pikachu Edition. The color I hoped to be released on North American shores was white. Given the lack of additional standard colors coming to the States, it seemed like a low possibility. When the special limited edition Animal Crossing 3DS XL was released in Japan, I hoped against hope that this would also come to the States. The idea that the Animal Crossing 3DS XL would come to the States seemed an even less likely possibility than a plain white version because I am pretty sure that Animal Crossing is less popular and less mainstream than Pokémon. 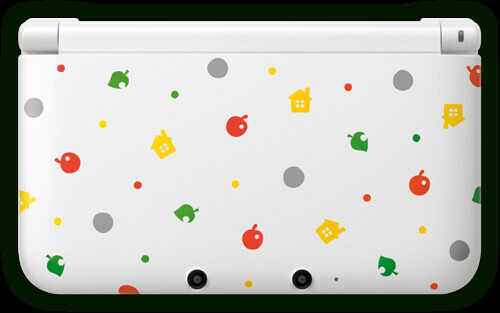 Given that, I thought that perhaps Nintendo wouldn’t be able to justify releasing an Animal Crossing -themed 3DS XL in the US. Last month, however, I was pleasantly surprised to awake to the exciting news, via the Nintendo Direct announcement and the Animal Crossing: New Leaf Blog, that the Animal Crossing Special Edition 3DS XL (bundled with a digital copy of New Leaf) would indeed be making it over to US shores! Of course I pre-ordered it. Some people say that it looks like a Pop Tart. I don’t think it looks like a Pop Tart, but I also don’t care what those people think. As the release date for Animal Crossing: New Leaf and the arrival of my Animal Crossing 3DS XL grows closer, so to does my anticipation grow. To prepare for the arrival of my new hardware, I’ve purchased a 3DS XL case. This is not just any case that you get from a big box retailer or retail chain store. 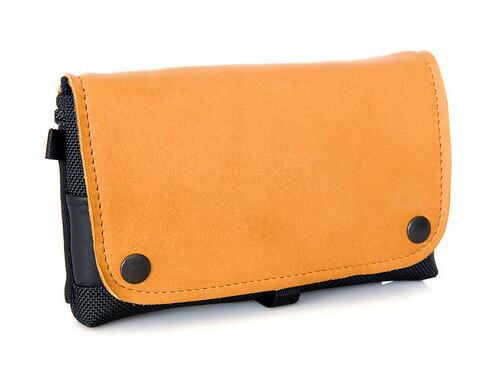 It’s the WaterField Designs CitySlicker case for the 3DS XL. I did research for a high-quality case for my new 3DS XL. After reading a lot of positive testimonials and reviews about San Francisco-based WaterField Designs in general, as well as Kirk Hamilton’s review of the CitySlicker 3DS XL case, I felt confident that this was the case for me. It just arrived yesterday and it exceeded my expectations for quality and craftsmanship. The color I chose was Camel, pictured above. The lighting in that image shows off the color more brightly than it appears in an average, everyday lighting situation, but it’s still quite gorgeous. I hope to do a full review of this case in the future, but for now I am really looking forward to using the CitySlicker with my 3DS XL. I also did some research to find a high-quality replacement stylus for the stock 3DS XL stylus. I was hoping to get a 3DS XL version of the chrome-plated brass PDA Panache DS Lite Pro Stylus that I own and that I have loved for years. Unfortunately, PDA Panache does not appear to make any styli for the 3DS XL. The last portable console they made a stylus for is the Nintendo DSi. I’ll have to resign myself to the stock stylus. I’m also going to experiment with using my Jot Pro stylus (earlier edition, without the dampening tip), originally made for tablets, without the plastic disc. I haven’t been using my Jot Pro very much with my iPad 2, as I’ve found the plastic disc to be fiddly and not as responsive as a silicone or rubber-tipped stylus. I use the Hand Stylus for my iPad, so I wouldn’t particularly miss using the Jot Pro. I also purchased a Hori screen protector. If all of the above wasn’t enough to prepare, I also started reading and posting on The Bell Tree Forums, the largest and most active Animal Crossing fan forums in the Animal Crossing community. It’s interesting to read what other Animal Crossing fans are thinking about and I’ve also found several useful threads for my own information. I declare myself ready for Animal Crossing: New Leaf and my Animal Crossing Special Edition 3DS XL! That case is amazing! Eagerly awaiting your review. Yay! I’m also treating myself to the Animal Crossing-themed DS XL and cannot wait for it to arrive in the mail.